This DIY tote saves lives. Okay, it doesn’t but I’m at least confident it’s environmental friendly and it definitely banishes the guilt of taking plastic bags from shop staff, which I’m guilty of doing almost daily. Of course, it’s not like totes are new inventions. I almost have as many as I do plastic bags. I shabby tatty ones; I have gorgeous ones that are too nice to use. In fact that’s the issue, I have so many but rarely use them. I figured a small, simple but pretty tote, which could I keep in my handbag, would be something I’d actually use… And of course, it was an excuse to do my new favourite thing – stamping! 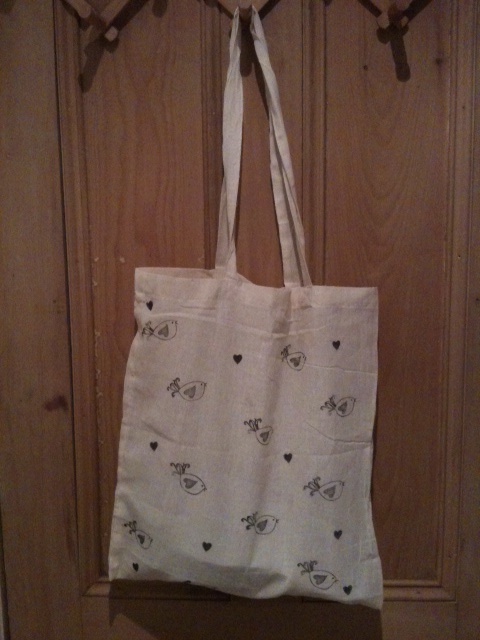 The tote cost me £2 and the stamps were a fun, quick and easy way to jazz it up. 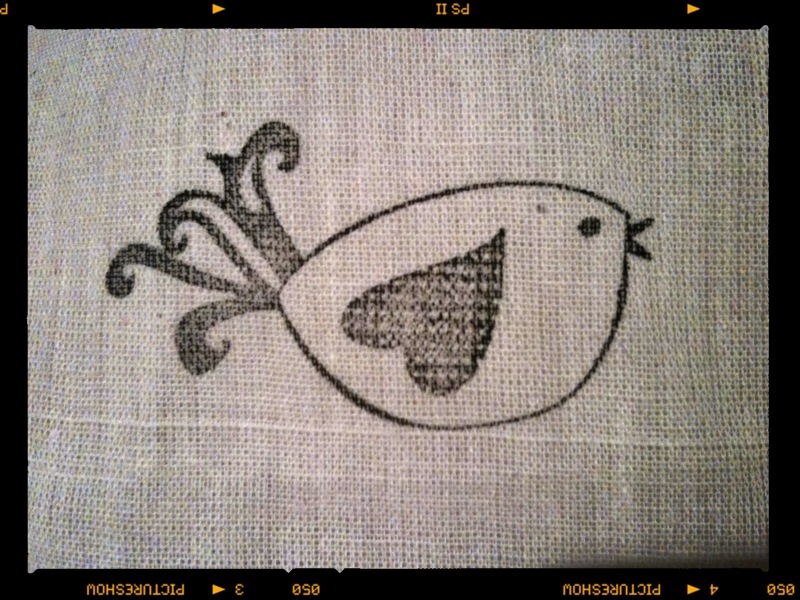 I picked the bird stamp for under £2 and made the heart stamp as I explained here. The stamping involves the same process I used for this geometric t-shirt… Which I like so much, I may have to make a matching tote! On Pinspiration day, I take an idea from Pinterest and use it to make a home DIY project. Today I’m making a geometric print t-shirt first posted from Etsy. 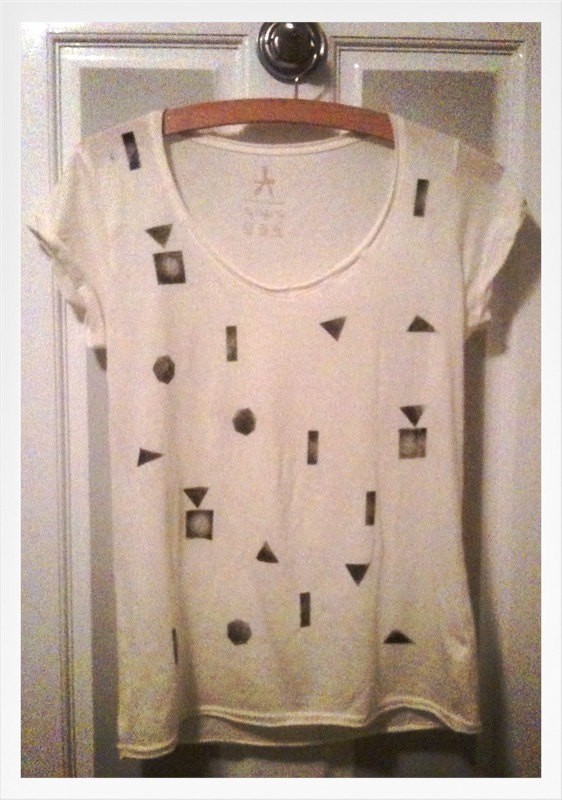 I made my version of this t-shirt using homemade stamps and ink. Using your ruler, measure and draw your shapes onto foam. Obviously, you don’t have to stick to geometric shapes, though these are quick and easy to do. Cut your foam shapes. I used two foam shapes glued on top of one another to create a thicker stamp. 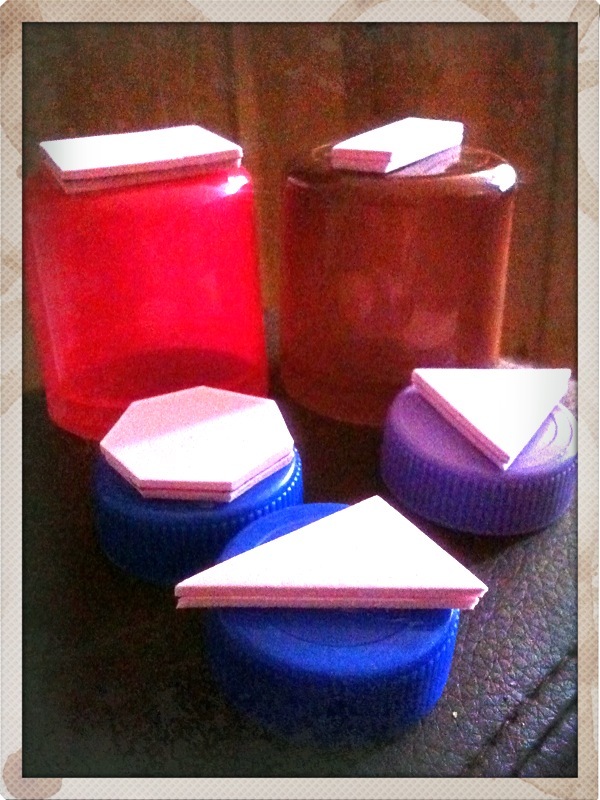 Then glue the shapes onto upturned bottle lids or the plastic tops to hairspray etc. Grown-up crafters like to use proper wooden blocks but I’m child and like instant gratification so I improvised. 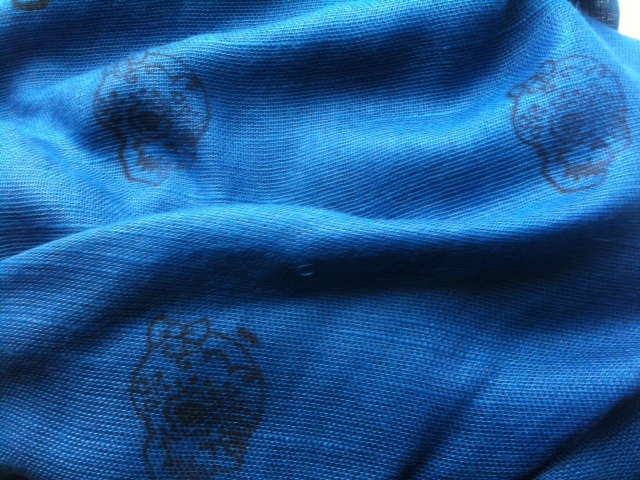 Remember to protect the other side of your top from ink that could bleed through. To do this, place a plastic bin liner inside the t-shirt. Make sure you’re stamping onto a hard surface as this will make for a better print. 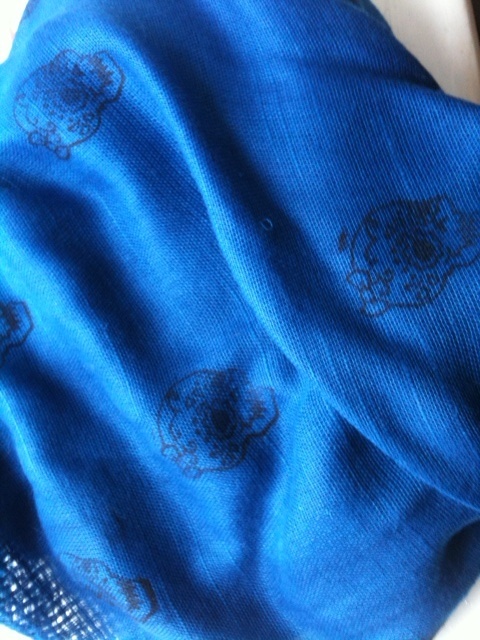 Let your stamps dry fully and then remember to iron both the front and reverse side of the fabric to fix your ink, that way it won’t fade in the wash. Happy stamping! I’ve wanted to buy stamps for a while but found they were either too pricey or too childish. It turns out they are so fun and easy to make there’s little point buying them anyway. (The exception here is Slyvita’s stamps, which are seriously amazing and really so much better than I could make so they’re worth the money). Slyvita uses rubbers, cutting into them with a craft knife. I used a different method: I cut a double layer of craft foam (it comes in A4, A3 and other size sheets) and stuck that to a wooden block. I recommend using embroidery scissors or a craft knife to get your detail. 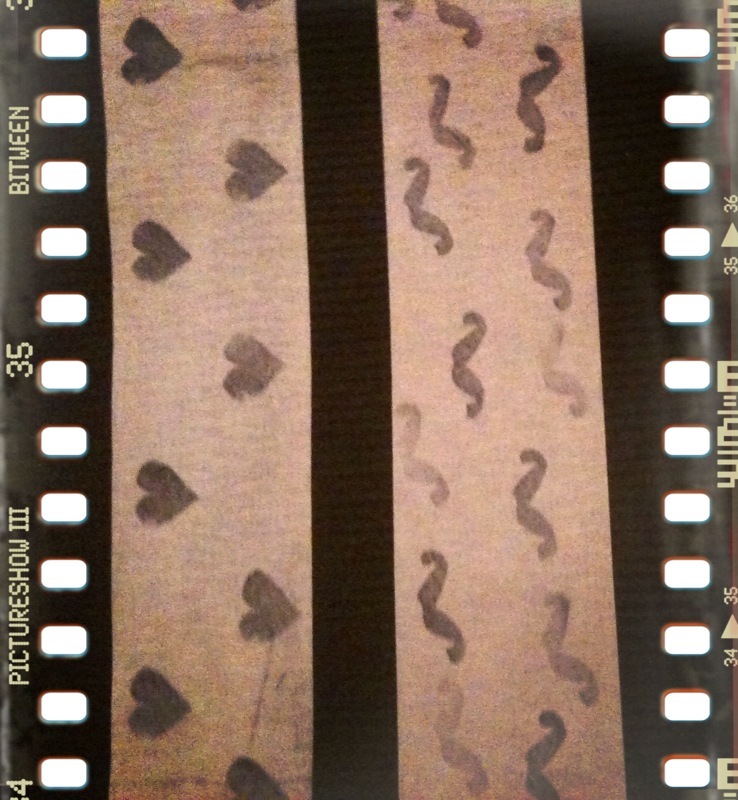 I’ve used really simple shapes: a moustache and heart, but hopefully I’ll get a bit more adventurous as I try more. 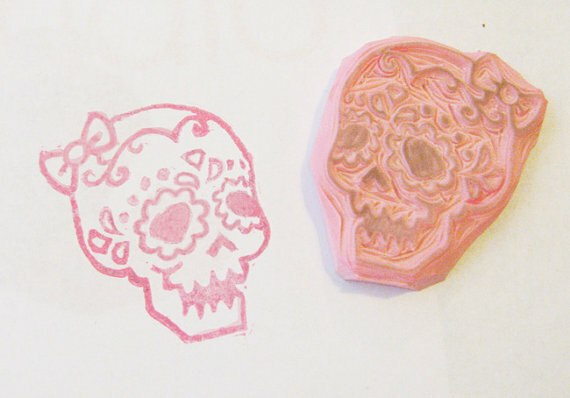 I’ll use these stamps to decorate cards, notebooks and all sorts. Here I used them to jazz up a homemade paper bag. 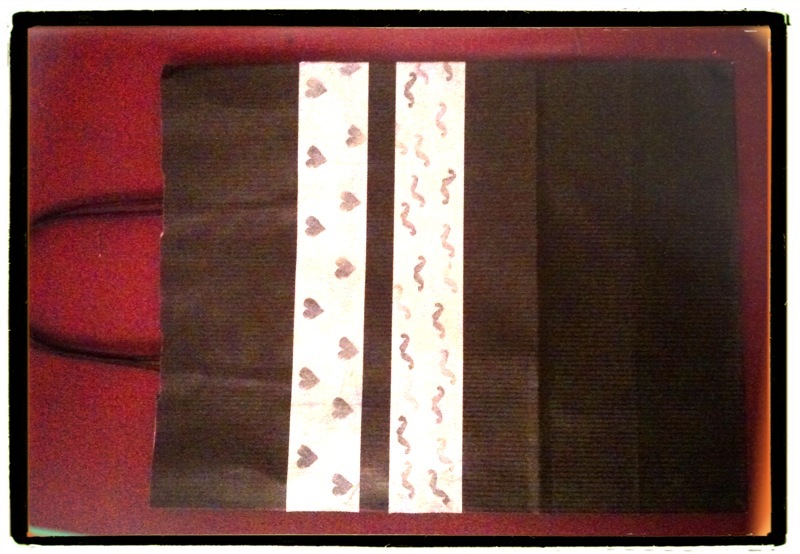 I used the stamps on masking tape as a quick and simple washi tape. 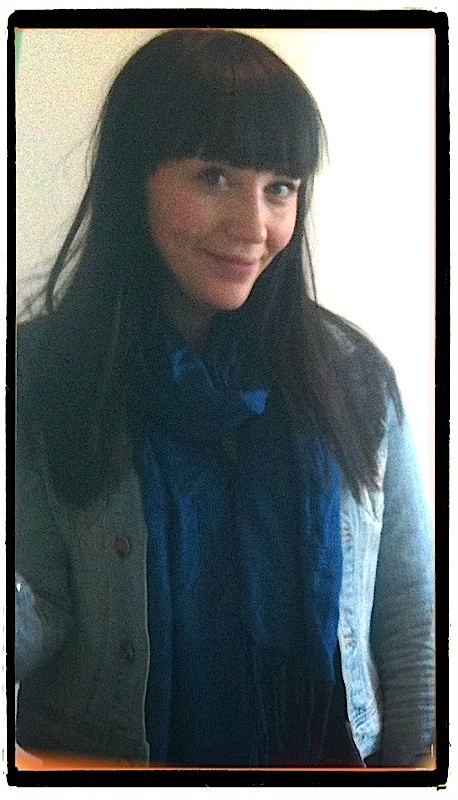 I’m hoping to move on to fabric after a little practise. Elsie at a Beautiful Mess (who deserves Dame hood for her creative genius) used fabric paint and a horse stamp to bring this plain dress alive. I think it looks fab. 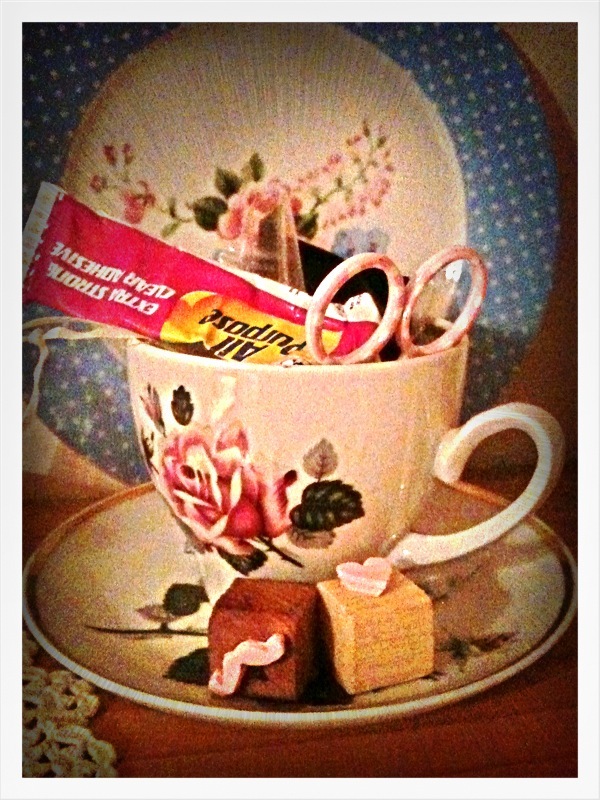 I also think my stamps look cute next to my tea cup and saucer – kind of like crafty sugar lumps! I love using crockery to store my craft bits and have posted on it here.